Despite decades of proclamations about the death of mass marketing, such talk was nowhere to be found among the giant social network and giant marketers on stage. Indeed, Ms. Sandberg repeatedly referred to the giant Facebook network's capacity to deliver "a Super Bowl every day." P&G sells such things as toilet paper and laundry detergent that people don't think about much, so it needs ads to keep them top of mind, Mr. Pritchard said. "That's why we need mass reach." He didn't back away from previously reported comments about P&G scaling back use of targeted Facebook advertising, though he termed the headline behind the original Wall Street Journal report "technically accurate but a little misleading." P&G got to the point where "we were making choices on targeting that were too narrow. In some cases it was great. But we said, 'Let's open it up so you can get to 80 million or 90 million viewers.'" P&G's first Facebook advertising for Crest Whitestrips 10 years ago "maybe reached 9,000 people," he said. He recalls a meeting attended by Mark Zuckerberg when Facebook reached 100 million users, where Mr. Zuckerberg didn't say anything, but marketers looked at him with some awe anyway. Once Facebook reached 250 million users, Mr. Pritchard recalled calling Ms. Sandberg and saying "'Now, you're getting interesting.'" But brands first focused on building followerships of up to 10 million, rarely reaching more than a million with posts. "We could do that in one night on 'The Voice,'" he said. "Some of our stuff was crap," Mr. Pritchard said. "We thought conversation was what it was all about. We had a Cinco de Mayo rice and beans post from Pantene. …There was no hair in it. We had the Always squirrel in Mexico. I'm not sure what that was about." Now P&G has a "Facebook Genius Academy" where learns such things as how to work with the platform and grab attention with a branded benefit in 2 seconds or less – and reach a lot more people. Ms. Barra also acknowledged a checkered past with Facebook. 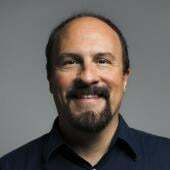 Former Chief Marketing Officer Joel Ewanick pulled ads from the network in 2012 after saying they were ineffective. "There were some early statements made that weren't necessarily representative of where the company was," Ms. Barra said. Now GM, too, sees it as an effective way to reach a lot of people, such as a "From Like to Love" effort behind Chevy Malibu that reached more than 70% of people over age 18. Ms. Sandberg acknowledged the "mistake" Facebook recently uncovered in overstating average video view time significantly by not including people who watched less than 3 seconds in the calculation. But she said it didn't affect billing. And she noted that Facebook had recently expanded the number of third-party marketing analytics providers who can sift through its data independently. Mr. Pritchard noted that P&G was already using third-party measurement on Facebook before. Both Ms. Barra and Mr. Pritchard showcased recent ads aimed at promoting gender equality, and Ms. Sandberg discussed research efforts on the issue that she's led, such as finding that failure of companies to give women their first promotion into management was one key issue. All three said the effort was about making change inside their companies, not just talking about it in ads. 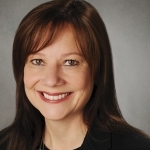 Ms. Barra pointed to a program to give internships to 10 women who had been out of the workforce two years or more to be with their families, which got 400 applicants. Nine of the 10 were hired, and many of the other 400 applicants were hired directly without going through the internship. At P&G, 45% of managers are now women, thanks to a commitment by CEOs for the past 30 years, Mr. Pritchard said. He said 50% or more of creative, planning and account people on P&G brands at advertising agencies are women. "We made a commitment that one of the things we're going to do externally is to use our voice" on the issue," he said. But he said having that kind of female representation from agencies on P&G brands have led to strong work behind that effort.